A farcical terrorist crime of decadent Imperialism used to blame Russia and the NovoRússia resistance! One more crime against humanity perpetrated by the US! Who benefits from the downing of the civil aircraft? For unconditional defense of the anti-imperialist and anti-fascist resistance! The downing of the Boeing 777 flight MH17 Malaysian aircraft while it was overflying the airspace of East Ukrainian represents the latest chapter of the imperialist war to crush the anti-fascist resistance of NovoRússia and close in on the Russian Federation. Almost 300 people were killed in the attack, including 80 children and over 100 scientists, experts in HIV, who were to address an International Congress on AIDS in Australia. It is likely that the discovery of a cure for AIDS may have been delayed by this disaster. The imperialists who accuses the anti-imperialist and anti-fascist resistance of shooting down the civilian plane have the know-how and are historically known for falsifying who the author are of “simulated” attacks, also known as “false flag” operations, to justify hundreds of military adventures. Since the inception of the US hegemony over the globe this has been that way. That’s how the coup d ‘ état against the Iranian nationalist Mossadegh was organised in 1953, Obama himself confessed in June 2009 that this was a CIA frame up . So it was in the Gulf of Tonkin incident, used by the US to launch the war against Viet Nam in 1964 . So it was with Bush senior and his invention of alleged weapons of mass destruction held by Saddam Hussein to justify the invasion of Iraq in 2003 . That’s how the Sarin chemical weapons attack against the civilian population was conducted by CIA mercenaries in Syria, and was used by Obama to accuse the Assad Government to justify a bombing which failed materialise. This latest Sarin episode, which occurred in 2013, has already been widely debunked by dossiers of Wikileaks and the former CIA agent Ray McGovern . In short, attacks such as this are part of the policy of the imperialist State to maintain their stranglehold on the globe. Particularly in Ukraine, imperialist policy is to conduct a recolonisation offensive that requires the creation of myths that demonise a people who voted democratically for self-determination in three provinces and only want to live free from the parasitism of the European Union and NATO boots by uniting with Russia. The downing of the plane is just the latest episode that featured a popular rebellion that gave fraudulent cover for a coup directed by openly Nazi parties which imposed a fascist dictatorship camouflaged by a false election. This gave a mandate to a tyrant, who is one of the richest oligarchs in the country, to continue massacres like that of 48 anti-fascists on 2 May, 2014 in the House of the Trade Unions in Odessa and to continue the persecution, torture and murder of the Russian majority population, poor Jews, Gypsies and resistance organizations such as the Ukraine Communist party and Borotba. They are bombing defenceless populations with chemical weapons, etc to achieve this. The bogus, spliced-together recording produced to prove the ‘rebels’ did it. Who benefits? Who cares about the downing of the Malaysian flight in Ukraine? The downing of the Boeing 777 occurred at a difficult time for the United States. These days, the Eurasian core around China and Russia are strengthened and are in some ways expanding their economic and diplomatic shield with the BRICS Summit. This took place in Brazil and is being followed by a constellation of countries from Iran, to Syria, Venezuela, Bolivia, Ecuador and Argentina. The creation of the Bank of the BRICS may well dedollarize world trade and it drops like a bomb into the trade war which may well lead to World War III. Added to commercial attacks this is in fact nothing more nor less than a limited economic autonomy for cheaper commercial transactions by a handful of semi-colonial countries around the globe. It is another important movement by the Eurasian block to challenges imperialism like the construction of the Nicaragua Canal, the new shipping channel in Central America. Even in the 21st century, in the “space age”, the sea lanes remain the backbone of global trade. There also highlights that the European imperialism is reticent blindly to follow the US in decline by isolating Russia because they are tied together by through dozens of multinationals like BMW, Siemens, Auchan, Raiffaisen Bank, BASF, etc who are thriving in this relationship. Even with all the American propaganda around the shale revolution, the EU refuses to replace the Russian oil and gas as an energy source it has a value at least 25% less than Russian oil and gas and is twice as expensive. At the last Energy Summit in Brussels, the European Commission ruled out any resort to the use of an alternative to Russian gas in the near future. The US have been doing its utmost to keep the EU in its orbit including using tragic political facts like the downing of the Malaysian plane full of European passengers. Therefore before there was any investigation into the cause of the tragedy the White House, the mass media and everybody linked to the great imperialist capital, began accusing Russia and the NovoRússia resistance of a tragedy that the history and the geopolitical interests of NATO put US intelligence agents and their puppets of Kiev in the frame as the prime suspects. The puppet government of Kiev was also suffering setbacks in the civil war. After losing some battles, the resistance is entrenched in Donetsk and has imposed important military casualties, bringing down military planes from the armed forces of Ukraine. It was also important to create the impression that the resistance had the ability to bring down airplanes, power that the Ukrainian Army has in much larger scale. 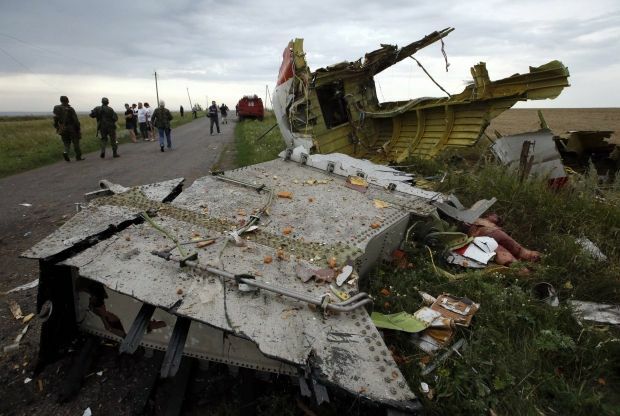 Another indication that the fascists in Kiev are behind the Malaysian plane crash is in revelation that the civilian aircraft was escorted by a Ukrainian military fighter plane before it “disappear”, having previously received the order to fly lower, as reported by the own Malaysian aviation authority: ”MH17 filed a flight plan requesting to fly at 35,000ft throughout Ukrainian airspace. This is close to the ‘optimum’ altitude. However, an aircraft’s altitude in flight is determined by air traffic control on the ground. Upon entering Ukrainian airspace, MH17 was instructed by Ukrainian air traffic control to fly at 33,000ft.” . Guiding a civil aircraft which was not about to land on Ukrainian territory to fly lower in a civil war zone is clear evidence of a criminal manouvre by imperialism. Another “coincidence” was the fact that on the same day as the tragic downing of the Boeing from Malaysia Airlines, which attracted the attention of the world news media, Israel, another neo-Nazi agent of imperialism, invaded Gaza by land. For unconditional defence of inspiring NovoRússia! Even in the face of all these clues that point to the agents of American imperialism as an author of this crime against humanity, a lot of information still needs to be revealed. Up till now the European Governments are partners with imperialism in supporting the Government of Kiev and are uncomfortably forced and intimidated into accusing Russia and the NovoRússia resistance on this attack. But even if, exceptionally in this case these responsible was not imperialism, revolutionaries must still stand unconditionally in defense of the resistance in the Ukraine in the fight to defeat the war and war propaganda of imperialism against the oppressed people of NovaRússia. We advocate an anti-imperialist and anti-imperialist united front with Russia for the crushing of these NATO agents and fight for a Soviet and Worker’s Government in Ukraine! The appearance of a Washington operation is clear. All the warmongers were ready on cue. US Vice President Joe Biden declared that the airliner was “blown out of the sky.” It was “not an accident.” Why would a person without an agenda be so declarative prior to having any information? Clearly, Biden was not implying that it was Kiev that blew the airliner out of the sky. Biden was at work in advance of any evidence blaming Russia. Indeed, the way Washington operates, it will pile on blame until it needs no evidence. Senator John McCain jumped on the supposition that there were US citizens aboard to call for punitive actions against Russia before the passenger list and the cause of the airliner’s fate are known. The “investigation” is being conducted by Washington’s puppet regime in Kiev. We already know what the conclusion will be. 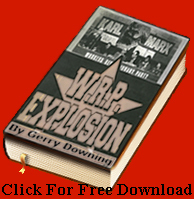 The probability is high that we are going to have more fabricated evidence, such as the fabricated evidence presented by US Secretary of State Colin Powell to the UN “proving” the existence of the non-existent Iraqi “weapons of mass destruction.” Washington has succeeded with so many lies, deceptions and crimes that it believes that it can always succeed. At this time as we write, we have no reliable information about the airliner, but the Roman question always pertains: “Who benefits?” There is no conceivable motive for separatists to shoot down an airliner, but Washington did have a motive–to frame-up Russia–and possibly a second motive. Among the reports or rumours there is one that says Putin’s presidential plane flew a similar route to that of the Malaysian airliner within 37 minutes of one another. This report has led to speculation that Washington decided to rid itself of Putin and mistook the Malaysian airliner for Putin’s jet. RT reports that the two airplanes are similar in appearance. http://rt.com/news/173672-malaysia-plane-crash-putin/ Before you say Washington is too sophisticated to mistake one airliner for another, keep in mind that when Washington shot down an Iranian airliner over Iranian air space, the US Navy claimed that it thought the 290 civilians that it murdered were in an Iranian fighter jet, a F-14 Tomcat fighter, a US-made fighter that was a mainstay of the US Navy. If the US Navy cannot tell its own workhorse fighter aircraft from an Iranian airliner, clearly the US can confuse two airliners that the RT report shows appear very similar. This was not the first armed criminal attack which was used by imperialism to attack its opponents. As the imperialist beast is in decline and dying it tends to create more and more fakes like this. For example the murder of the three young Jews was used by Israel to unleash the current offensive against the Palestinians. They are desperate and heinous acts yes, but imperialism enjoys the immense advantage of having a sophisticated global system of information handling and falsification of reality in its favour, one immensely more powerful than the one used by Joseph Goebbels, Reich Minister of Propaganda in Nazi Germany, in a single country. In this context, the Communist League, along with other organizations (PCO, CCR, RC) conducted an internationalist political mobilisation at the Ukrainian Consulate in Sao Paulo on July 16, 2014. The mobilisation was supported and had public greetings from the British Socialist Fight, from the Argentinean Bolshevik Militant Tendency, from the Brazilian Lenin Collective and even greeting from a retired Cuban construction worker. At the protest the main Ukraine-Palestinian slogans was: “For the victory of the anti-imperialist and antifascist resistance!” and the posters were bilingual, in Russian and Portuguese, we had good musical backing and we got on the solidarity of workers of the building where the Consulate is located. However, the LC and other participants in the activity opposed handing any petition or document to the Ukrainian Consul, since it does not recognize as legitimate the current Government, not legitimised nor place any illusions in the method of negotiations with fascists.